oBike's new majority shareholder, Omni Sharing, applied for a sandbox licence to rent out 500 e-scooters under a new brand. 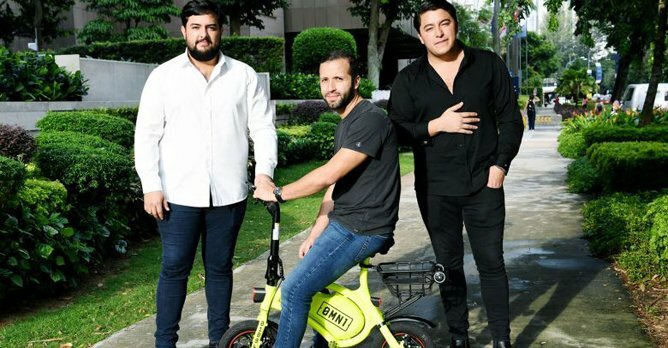 Founded by a young Costa Rican investor, Omni Sharing yesterday applied for a sandbox licence to rent out 500 e-scooters here under the 0mn1 brand. Mr. Oscar Moises Chaves is the head of investment firm OSS Inversiones, which bought oBike last September. Mr. Chaves, over the course of two interviews with The Straits Times in the past month, expressed confidence in solving oBike's problems and also establishing 0mn1. 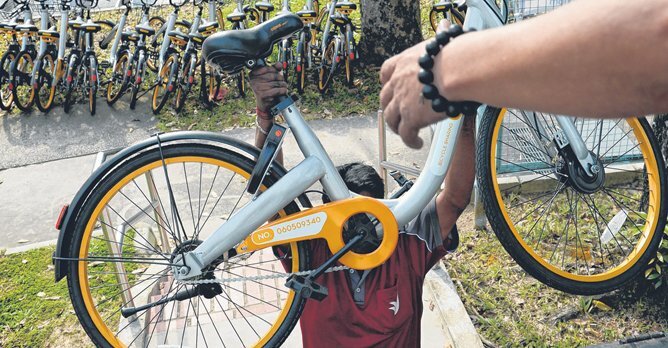 The 29-year old said he initially wanted to clear oBike's debts and launch a new range of shared PMDs under the brand, but delays in resolving its liabilities led to a new plan. "Now we just want to shut down oBike and run 0mn1," he said. "If you don't clean the house first, you can't receive the visits. So we had to build a new house." Mr. Chaves said Omni's tech team is based in Shanghai, and the manufacturer in Shenzhen. The firm has about 12 employees here, and wants to expand the team to 30 by April. Mr. Chaves and his younger brother, Samuel, are directors in Omni. It will offer seated e-scooters that can be taken onto trains, which differentiates it from its competitors, said Mr Chaves. "We are giving the best thing we can give to users - safety. The seated scooter lets you react, gives you back your reflexes, gives you back the stability a micro-mobility device needs." If its application is approved, Omni will look to deploy its e-scooters around Orchard Road and Raffles Place. This would be the first step in a plan to expand globally, said Mr. Chaves. Omni chose to start in Singapore as it wanted to show potential markets that it can operate in a regulated environment. The Land Transport Authority (LTA) has taken a controlled approach with the shared e-scooter industry, with the window to apply to run a small fleet of shared-PMD services here closing yesterday. Mr. Chaves said, "We want to learn these legislations, and once we properly establish the company, we will export the Singaporean way to do this. I have talked with many city mayors and they really support the idea that the right way to run (sharing services) is through legislation." But while 0mn1 is moving ahead, oBike remains in limbo. It is currently in liquidation in Singapore after its abrupt exit last June. The liquidators, FTI Consulting, said the firm has chalked up about $9.4 million in liabilities, most of which are user deposits. Payment for the debts is at an impasse. At a meeting with creditors last month, FTI said it has provided Mr. Chaves with information that he has requested. But Mr. Chaves, who holds a 66.87% stake in oBike's global business, said the given information accounted for only about $1.8 million of the firm's debts. 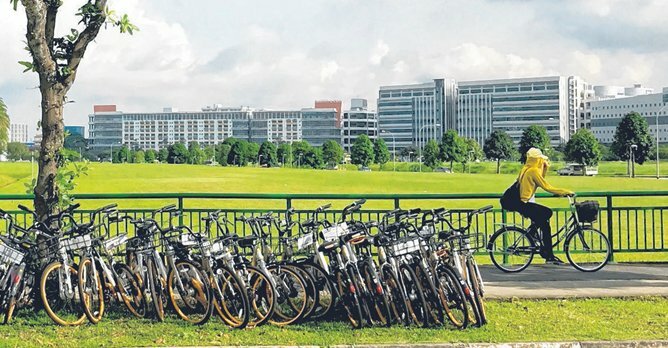 He expects to eventually spend 'tens of millions' to tie up the loose ends for oBike, which include shutting the business in other countries and paying off remaining shareholders. Despite the drawn-out process, Mr. Chaves said he has no regrets about taking over oBike. His investment firm OSS proceeded with the deal in September as it wanted to tap oBike's platform, data and connections. Mr. Chaves also wanted to make a name for himself by solving oBike's problems. "It sounds like I am just wasting my money, but no, we received a very strong and well-developed platform. We received users' database, we received all the new projects that oBike was working on," he said. "Right now, I think it's still a cheap price to pay for a platform of that quality." In the long term, Mr. Chaves has no concerns that oBike would affect his reputation or that of 0mn1, and he is sure that oBike's debts would be resolved. "Because I am paying, (it's) that easy," he said.